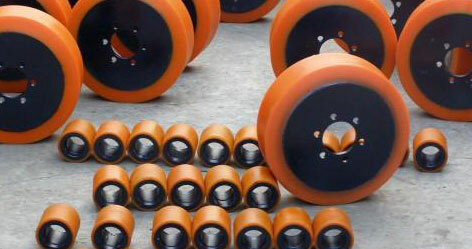 Polyurethane wheels also known as press on wheels which are used in various industries especially for material handling purposes. 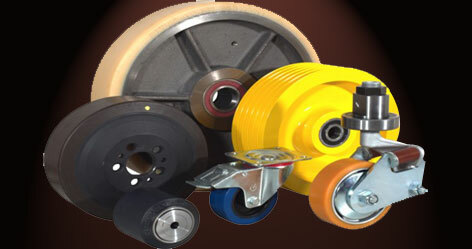 Our products are made from high grade ductile plate rolled to shape with inner disc. 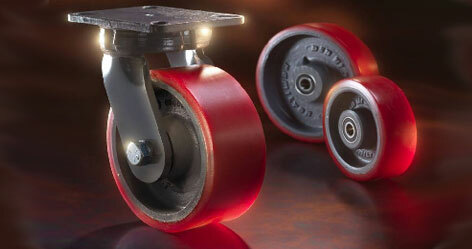 Our precision engineered polyurethane wheels can be customized according to clients' specific requirements. 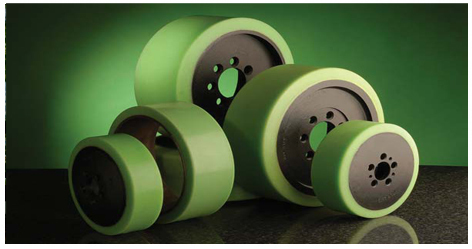 Polyurethane is an elastomer with a high breaking point and a high co - efficient of elasticity it offers excellent elasticity and hardness and high resistance to compression bending and abrasion for high strength high static loads hard wearing and up to 10 times the life of natural rubber under similar conditions and load hard wearing and up to 10 times the life of natural rubber under similar conditions and load. 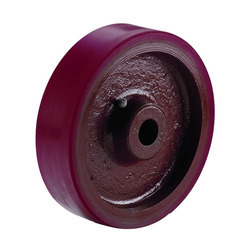 With load capacity up to 3 times that of equivalent rubber wheel. 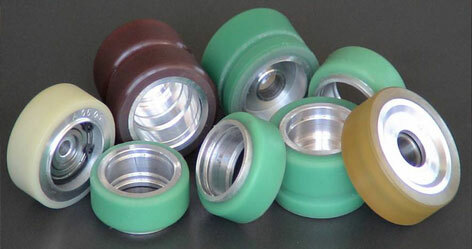 Resistance to ageing mineral oils and greases solvents and diluted alcohol and bases. 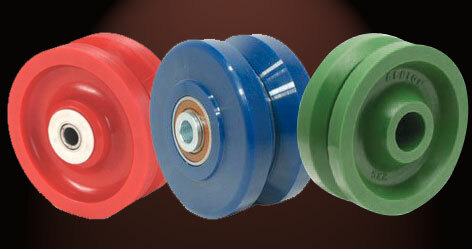 Please inquire as per requirements & availability.